The UK follows France in announcing plans to phase out such vehicles in just over 20 years’ time. Research suggests that up to 40,000 people die in the UK each year due to air pollution. THE BRITISH GOVERNMENT is set to announce new plans to ban all new petrol and diesel cars by 2040, as part of plans to cut emissions and improve air quality. The move is seen as essential because of the avoidable impact that poor air quality is having on people’s health, the Guardian reports. Local councils will be provided with up to £3 billion in new funding “to clean up dirty air on roads”, according to a government spokesperson. The UK government is taking a similar approach to France in this regard, which announced similar measures earlier this year. The British government has come in for sharp criticism from lobby groups, after a draft report on its air pollution plans was described by environmental lawyers as “much weaker than hoped for”. Multiple court cases have been taken by environmental groups against the UK government in recent times, in a bid to produce a viable clean air plan. The full report from the government on how it plans to reduce air pollution will be published later day. 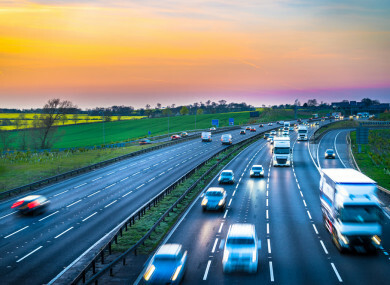 It also contains plans to alter road layouts, reprogramme traffic lights and provide a targeted scrappage scheme to improve measures to reduce air pollution. Last year, a report from the Royal College of Physicians and the Royal College of Paediatrics and Child Health said that air pollution causes at least 40,000 deaths a year in the UK. Earlier this month, car manufacturer Volvo said it plans to phase out production of petrol-only cars in 2019, with all new models to be either electric or hybrid starting from that date. Email “UK to ban sale of all diesel and petrol cars by 2040 'to clean up dirty air on roads'”. Feedback on “UK to ban sale of all diesel and petrol cars by 2040 'to clean up dirty air on roads'”.